Tottenham Hotspur are interested in signing Getafe defender Djene according to Foot Mercato. The 26-year-old central defender only signed for Getafe last summer from Sint-Truidense in the Belgium First Division A, and he went on to have a fine season in La Liga, making 36 appearances and scoring once, while he pocketed Lionel Messi during his side’s goalless draw at the Camp Nou in February. Tottenham are on the look out for a new centre-back with Toby Alderweireld being heavily linked with a move to Manchester United, although Getafe are reportedly holding out for £31million for the Togo international. Djene is a similar player to Davinson Sanchez as they both read the game well, are quick and strong in the tackle. 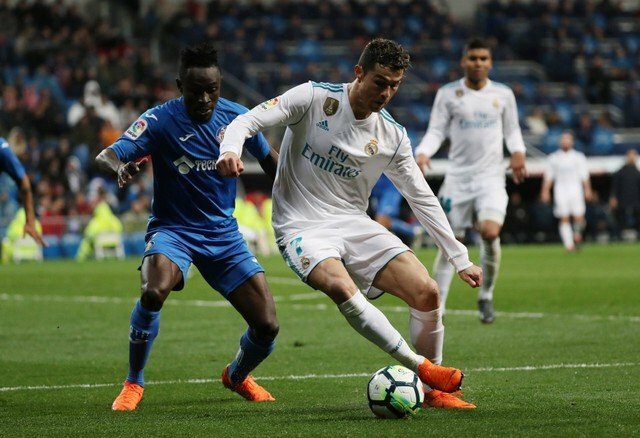 The Getafe player’s statistics from last season show that he is a committed defender, averaging over five clearances, two tackles and two interceptions per game in La Liga, as per WhoScored.com. He is definitely a solid option who could form a really strong partnership with Sanchez for the next few years and if Spurs sell Alderweireld and sign Djene and have a fair bit of money left over, Mauricio Pochettino can be happy.